10,000 stretchy, weaving bands in a rainbow of colors. Use to make stretch loop bracelets, rings and necklaces. Zip-top bag for mess-free storage. Finish with Closure Clips, sold separately (JE202). 10,000 stretchy, weaving bands in a rainbow of colors. Perfect for groups! 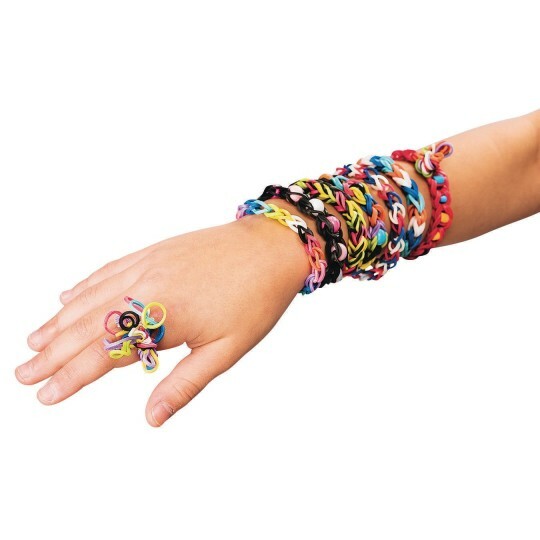 Use to make stretch loop bracelets, rings and necklaces. Zip-top bag for mess-free storage. Finish with Closure Clips, sold separately (JE202). Latex-free and non-toxic. I would definietly buy these product again. We use this for hours of fun in our afterschool program as well as holiday breaks. Make great gifts. The students in my after school program love to make bracelets and rings with these. Nice price for the bulk quantity. Good quality bands great for Loom refills! 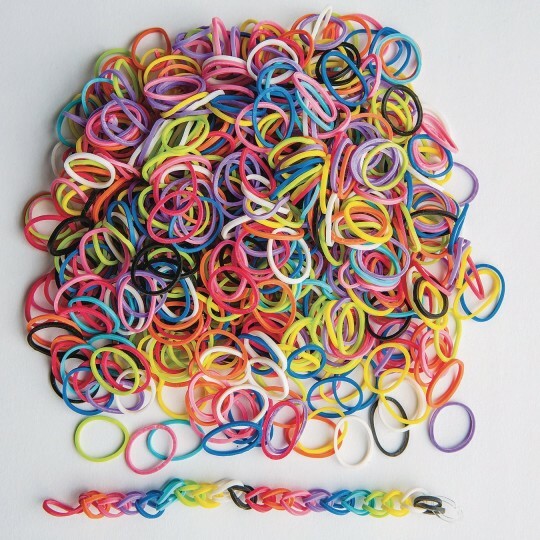 It is pretty hard to get your hands on this kind of volume for these little rubber bands. They were just what I needed. 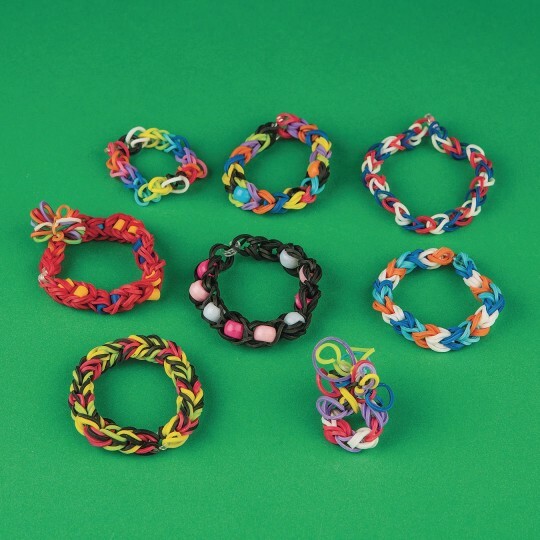 I used them to make bracelets with groups. The colors are varied and bright. The bands held up well for weaving and looping. I paired this purchase with EZ Looper Weaving Tool Sets pack of 12. Easy affordable fun.